Sponsorships – complete – we sent in the final TRPO sponsorships last May, to reach our grand total of 98. Arrivals -- almost complete – 91 of the 98 have landed. Four will arrive on January 19, 2017, at 6:16 pm – join us for our 18th airport welcoming ceremony! After that, only three individuals will still be in India waiting for permission to travel. Resettlement– this will continue until all new arrivals have been here for a year – TRPO is currently still responsible for 36 newcomers in their first year in Canada. One more number: 19 newcomers (20%) have left Ottawa for jobs in Toronto and Alberta. Those who left during their first year had to reach an agreement with a “sponsor” to help them in the new city. The rate of departures is a strong comment on the dire situation for jobs, especially at the entry level, in Ottawa. But the newcomers in Ottawa are all working, with the exception of some mothers with young children. And a financial note: the cash cost of our project has been around $1,000 per person until this last year, when we had to rent more apartments, especially for families, so the average cost per person has doubled. This is still a lot less than other sponsorship projects. Keeping the cash costs low is only possible with the very generous support of in-kind donations, and the provision of housing, food and other assistance by previous arrivals. 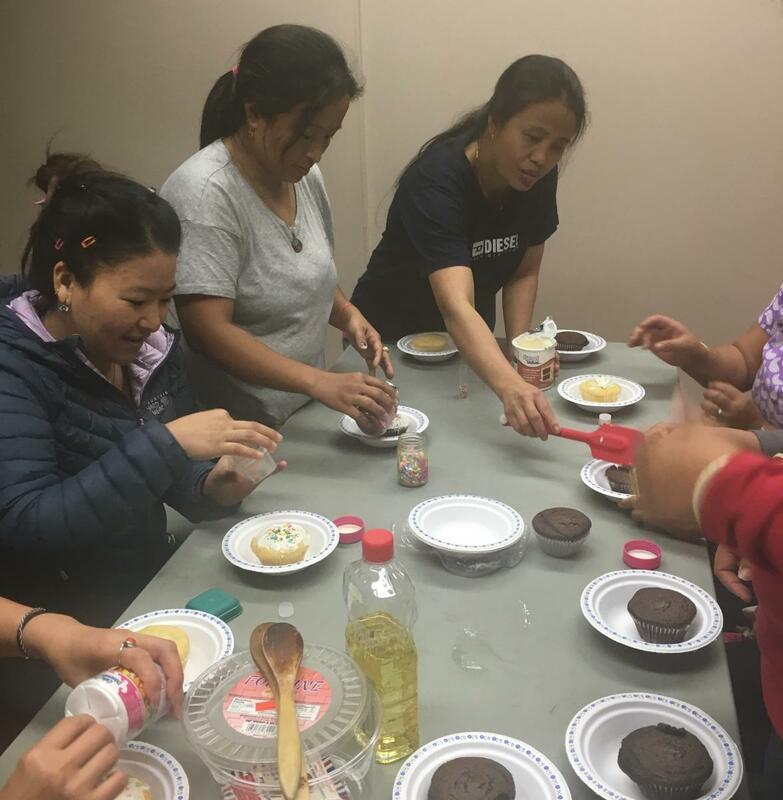 So what happens when all of the Ottawa Tibetans have been sponsored for their first year, and TRPO has no further formal responsibilities for them? We are discussing the idea of using left-over moneys to offer assistance to the newcomers to meet their educational goals – getting a diploma or certificate, doing an apprenticeship, starting university, etc. The challenge for individuals is not only to pay tuition, but also to pay their share of rent during the time of the course. I would like to acknowledge here all who have helped us on our path – some for a shorter time while they were able, others year in, year out since 2013. Mentors, board members, donors of money and materials, volunteers, and earlier arrivals, all deserve to share in the credit for our success. That said, I make a personal plea for as many of you as possible to hang in there with us as we navigate the final stretch! To mark the 3rd anniversary of the 1st arrivals, we asked five newcomers about their experiences to date. The five included old hands and recent arrivals, as well as some who have stayed in Ottawa and some who have left. We will be sharing further personal reminiscences by newcomers in the future. 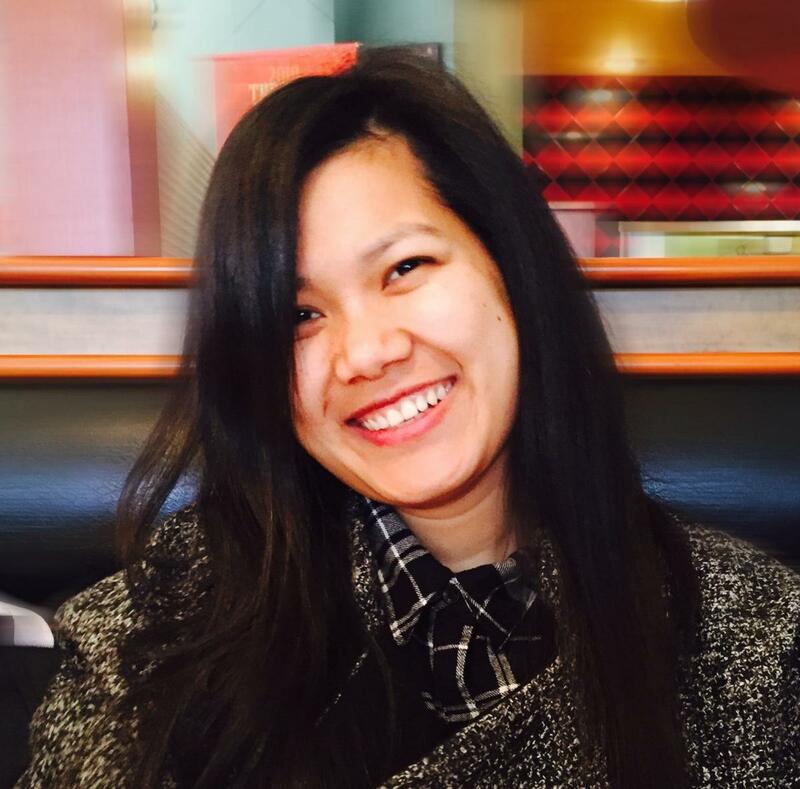 My name is Tsering Dolma and I came here to Canada in 2014. Thanks to TRPO we got free housing and food for three months which was enough for us to look for a job and be able to survive on our own. I am grateful to this project and to Canada for giving us new hope as well as a life which we wouldn’t be able to have back home due to lack of resources and support and now we are getting various opportunities here. Currently I’m living with my friends renting an apartment, we share that way to try to save our money. I’m loving my job because I work with elderly people in a Retirement Home as Dietary Aide. Did my Dietary Program from Algonquin College as my second career because I felt it’s good to have at least two choices in my life to survive here in Canada. I’m still looking forward to do further studies so I am planning to go to college and pursue what I used to do back in school as my first career which is accounting. Thanks to the Ontario Student Assistance Program for financial aid which I will be getting in future. About my longterm plans, I would like to pursue my career first then I will visit my family in India because right now I am also supporting my sisters in their education. If I would able to achieve my goal, I want to support other Tibetans living in India by providing some funds to those who are unable to support themselves financially to study further in their life. That will be my contribution towards Tibetan society if I ever get to achieve my career. I would love to have a larger Tibetan community here in Ottawa. There is more job opportunity in Toronto and the other cities especially for those poor in speaking English because they still can easily get jobs in factories. My name is Tenzin Shedup. I came here on 7th of April 2016 with my family. 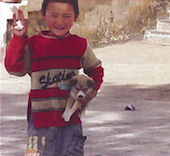 When I was selected in this 1000 Tibetans resettlement project, I was a little worried about new country, new community and new people etc. But the day we first arrived in Ottawa was amazing and undefinably surprising because huge number of our previous Tibetan colleagues and the members of Tibetan Resettlement Project Ottawa were there to welcome us with lots of banners and scarf and it was pleasant and relaxed feeling as well as relieved from worrying and loneliness being far from our parents. After arriving in Ottawa, TRPO and mentor became our new Canadian friends. TRPO and mentor are so helpful in our each and every movement like housing, foods, clothing, medical, children's school admission and ESL assessment, etc. Now I have been here in Canada almost 7 months, we are so happy and confident to be here. Right now I am working in KFC as a cook for part-time evening thrice in a week. And in future I will like to work as nursing assistant or pharmacy assistant. "If money is lost, something is lost. If time is lost, everything is lost." And last but not least, I on behalf of all my Tibetan people, we are very thankful to all the members of TRPO and the Canada government for adopting us in your community and help us so easily to settle down here. And my deep thanks to my mentors Monique Truax and Stephen Graham for their immense help. God bless Canada. Thank you. My name is Lhakpa Dolma, I am from Tibet. Tibet has a rich history as a nation, existing side by side with China for centuries. In 1950, the newly introduced Chinese communist regime decided that Tibet must become a permanent part of China and launched an invasion. In 1959 the 14th Dalai Lama fled Tibet to northern India where he established the Central Tibetan Administration. I have lived my life since birth, raised and educated in northern India. I have only heard, read about Tibet from family, teacher and book. I hope one day I would be able to visit my own land. 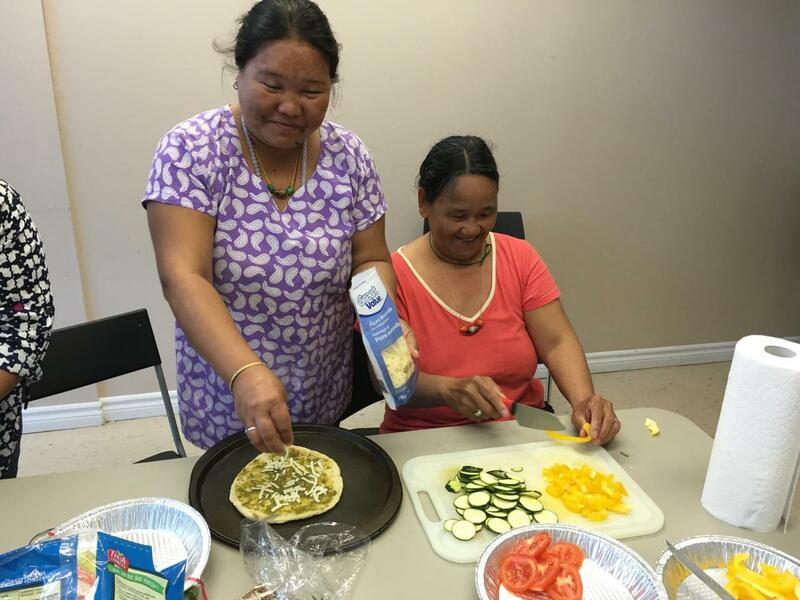 The Tibetan Resettlement Project Ottawa provided temporary housing to single, married couples, and families. They have provided $100 & $200 monthly compensation for three months, lodging and boarding for the newly arrival in Canada. July 16, 2015 I came to Canada. Ever since I stepped foot in Canada, I have evolved and discovered the many different sides of my personality. I have not only changed physically, but also emotionally and psychologically. I have developed social skills, learnt and built many positive relationship with Canadian people. Canadians have a very helping nature. The Youth Services Bureau assisted me getting my current job, they explained the process and helped me sharpen my customer service skill. Currently, I am hoping to be successful in my long-term career which will be as an Interpreter. Thanks to the services provided for new immigrants and refugees, I was offered to finish a beginner interpreter course, which would allow me to get certified and practice as an interpreter in Ottawa. On the side, I am working at two jobs, learning useful serving skills at one, as I am a server who was again given the opportunity to get my Smart Serve [a server training program for the Ontario hospitality industry] with all costs covered. I also work as an expeditor at a fast food restaurant, every day I learn qualities that employers seek in employees i.e. how to multi-task and solve complaints in an efficient manner. I am hoping to help Tibetan newcomers by supporting their needs and wants. I am also single, independent, hardworking. My goal is to achieve success and be able to support my family financially. I am living with few friends where I can share the rent, bills and saving up some of the part for the future expenses. I and the Tibetans community people of Ottawa would like to help many Tibetans to come across to Canada. Canada is full of opportunity and I have been grateful to have come across. THANK YOU. 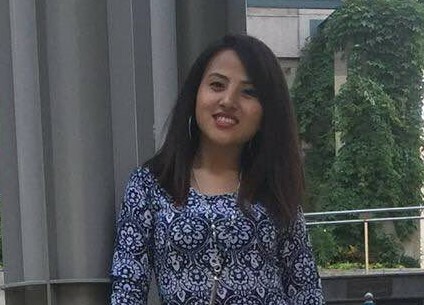 I am Lhakpa Tsering, arrived in Ottawa on 29 November, 2013 and I was amongst the first group who came from Arunachal, India under Project Tibet Society, the parent organization of Tibetan Resettlement Project Ottawa. Initially, I was quite perplexed albeit ecstatic too, when I was on the way to Canada. I was perplexed thinking about my future such as what am I gonna do, whether I would get a job or not. I was sure there are Tibetan supporters who work voluntarily and help us, but still to get a job depends upon individual caliber plus how and where I am going to live. But my worries failed in front of TRPO's love and care towards us, it was just amazing, overwhelming and so kind from the time we landed at the airport, we have been offered winter clothing like coats and shoes etc. right after landing at the airport. In fact it had already showered a blanket of snow. It could not be a better warm welcome than this, to be honest. Then I lived with my host family, a very kind hearted family Pema Namgyal and Barbara Mueller. They hosted me and a friend for three months for free. I am extremely thankful to them and Barbara’s parents for inviting us on Christmas Celebration although it was my first Christmas. Not only that, Barbara taught us how to go skiing, skating and cross country skiing. Truly I have spent such a wonderful time with them, I miss them every time. We move to our new place (rented apartment) after three months where TRPO helped us with providing everything from kitchen utilities to toiletries to sofa couch to bed. I can’t explain how much we were touched and felt gratitude for their care towards us, everyone was kind of busy helping us moving to our new place, Cornelius, Edwinna, Gisèle, Pema Namgyal, Dawa Ghoso, Flo, Garrett – everyone was arranging one or the other, really we are indebted to TRPO, we will never forget your kindness. I spent two years in Ottawa and then moved to Toronto in the beginning of this year to live with my elder brother’s family since they were just arrived in Canada, I thought it’s a good idea to live together, in that way we can help each other and I am doing pretty much good in terms of everything. At present I am working in a hotel in the Groupe Germain (a Canadian hotelier) at the Pearson Airport – full time with benefits. I think Toronto is a wonderful city to live in like Ottawa but its little bit costlier than Ottawa, other than that it’s a fabulous city. In terms of my career in coming days, I am planning to pursue/upgrade skill development in food and beverage industry, probably from this winter, if everything falls on positive vibes. If I ever get an opportunity to resume my career (employment transfer) in Ottawa I will blindly take that because I am in love with Ottawa especially TRPO leading by Cornelius, Edwinna and Eliza von Baeyer and I am enormous gratitude to each and every one member of TRPO for their unconditional supports and love. Hi everyone. This is Tenzin Phentok from Banff, "ex-Ottawa". Actually I like Ottawa and all my friends are still there. Due to less job opportunities I had to leave Ottawa, but I still miss it and my friends. Ottawa is so beautiful and I love everything there. All my mentors helped me a lot in every field, and they never let me feel like we are new here. They supported us as if we know each other from beginning. So now am in Banff, and its all rounded by mountains and snows. Summer here is soo short and winter is too long haha. At work, everyone is too good. They all are so cooperative to each other, we work as good team. I’m gaining lots of experience in Banff. And my second job is a cashier and making beavertails, beavertail is soo yummy and sometimes working as cashier as I never work as a cashier, and its not so easy though, many different faces, everyone has different way to talk, some are rude and some are soo nice. But still I’m enjoying both jobs. Our managers are very good. And I have gained a lot of experience in Banff, like I stayed with different roommates from different countries and I met lots of new people here. Most of the people come for fun and enjoyment, as Banff is very famous for skiing and cross country skiing and party all week. But I’m enjoying work and nature in Banff and sometimes gathering with coworkers for dinner. Well overall my life in Banff is fully satisfying. After all its my permanent job here. Its very hard to get a permanent job in many places so I respect my job and am enjoying it. Its all because of Nima Dorjee la and Cornelius la and all my mentors in Ottawa. Today where I am is all because of these beautiful people who never left me alone and keep pushing me towards good thing. Before I didn’t even know how to make resumes and how to speak and I was much less confident. But after they show me the way, I tried and I am still trying. And now I’m not that scared to speak out, and my confidence is a bit improved as compared to before. And now I am eligible to help my family and friends. Not every time but sometimes I can help family and friends. I believe in God! All happens for good in our future. I had no dreams to come to Canada, see now I am here. Its like a dream. I am in this beautiful clean country. And I’m so happy for those who are here today, now its time to make our kids and life beautiful and colorful. Good luck to everyone for the upcoming future. Now our mothers and those who never speak English, now they will speak and stand with confidence as they can speak out now and we want to see them speaking in English. Its all because of Project Tibet Society. I’m so thankful to all the members each and everyone who have been helping in this case. I will never forget this project and their hard work in this case. They had showed and teach me lots of new things in my life which I haven't seen and been through. Life is all about learning new things and gaining experience. And I want to thank each and everyone there who have always been standing and helping us. Thank you. Love to everyone there. Once a week, we have English conversation practice for newcomers with little English. Lively activities have included muffin making and pizza preparation. Thanks to volunteers Prinon Rahman and Jasveen Saluja! The 20th annual benefit dinner of this wonderful organization, which helps Tibetans in various parts of South Asia, was held on November 4, 2016. 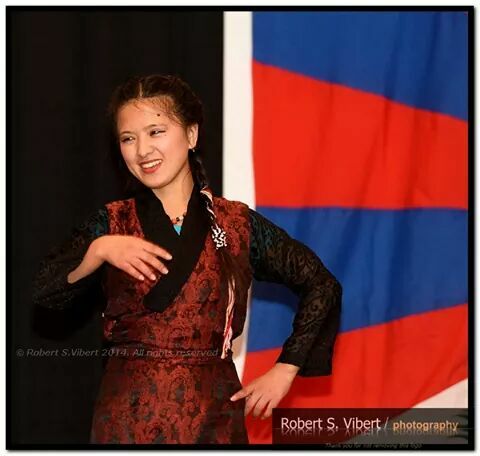 Entertainment featured performances by our own Tibetan Dance Group -- the 4 girls here include arrivals from 2015 and 2016, one as recent as October 5! An Indian buffet included momos made by our own chefs. 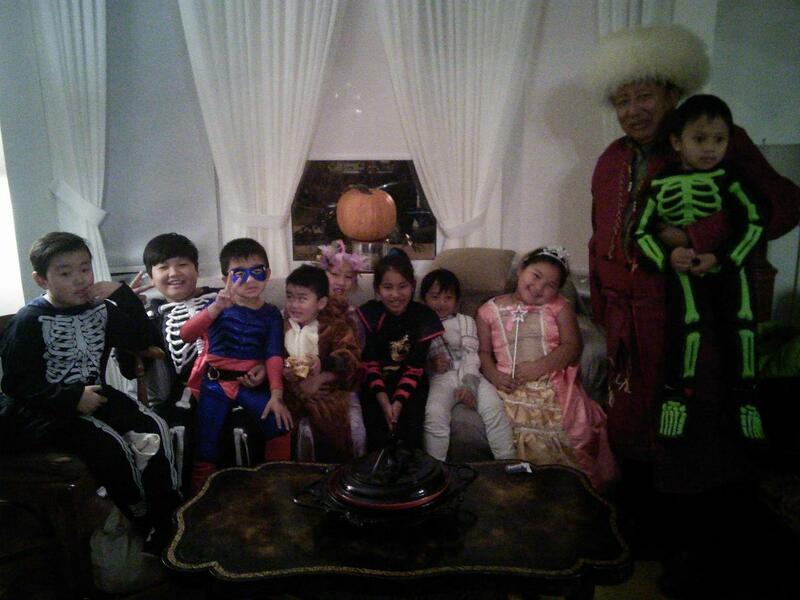 In what is becoming an annual tradition, a number of young newcomers had a terrific Halloween celebration in and around Ellen Wiesenfeld's house. Here's how to contribute in Ottawa. Our parent organization: Project Tibet Society. Our co-sponsor: Catholic Centre for Immigrants, Ottawa. 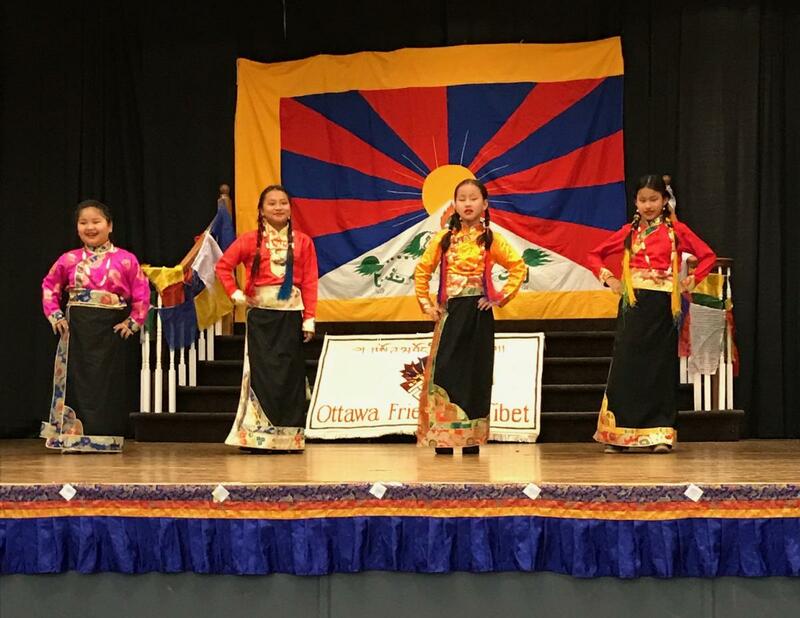 Our colleagues: Ottawa Tibetan Community Association.